and another. As they work together, Grisham reveals the techniques that have helped him create compelling bestsellers for more than two decadesfor instance, You’ve got to hook your reader in the first forty pages or you’ll lose them.” After a year of constructing outlines, Grisham finally gives Tony the go-ahead to start writing. 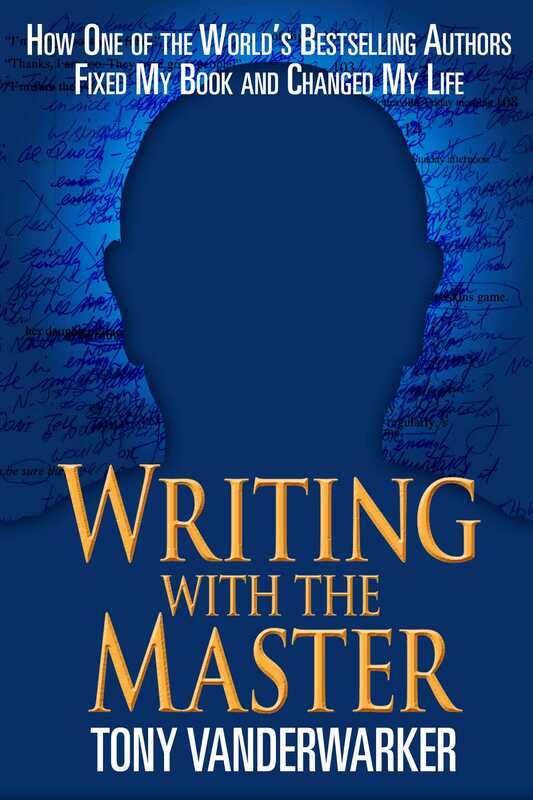 Writing with the Master immerses the reader in the creative process as Tony struggles to produce a successful thriller. It’s a roller coaster ride, sometimes hilarious, and often full of ups and downs. Grisham’s critiques and margin notes to Tony reveal his nimble imagination and plot development genius. For Grisham fans, Vanderwarker’s memoir pulls back the curtain on his writing secrets, and for aspiring writers, it’s a master class in thriller writing. In the end, Tony resolves to take Grisham’s teachings to heart and eventually decides to write what he thinks he was meant to: a book about the creative process and his incredible two years working with John Grisham.